Outdoor lighting is a great way to boost curb appeal! Outdoor lighting has many uses. It can illuminate a pool, safely see you to and from your car at night, and light up your yard in a way that you never thought possible. But what else can outdoor lighting do? Well, some strategically placed outdoor lighting can raise your curb appeal to new heights. That’s right! 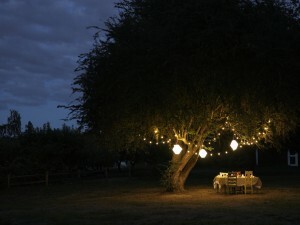 Using some clever lighting, you can turn your backyard into a secret haven or a fairy garden! 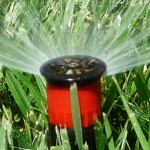 This will make your home perfect for potential buyers. Ready to get into a little more detail? Let’s go! What is clever outdoor lighting? Clever outdoor lighting is something that accentuates the best parts of your yard. 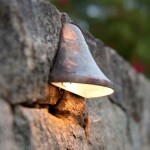 Clever outdoor lighting is also useful. To create this clever thing you must combine the practical and the beautiful into something simply amazing. No part of your outdoor lighting should only serve one purpose. Your outdoor lighting should serve as many purposes as possible. So, have outdoor lighting that lights a path and creates a scene. Have lights that spruce up a deck and help light the way to your car. Even pool lights can help to serve more than one purpose. Clever lighting is going to boost curb appeal like nothing else. We’ve talked about this a little bit already, but what exactly is curb appeal? 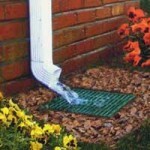 Curb appeal is a quality of attractiveness that a home possesses. 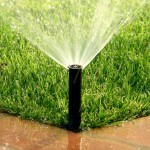 You can boost this quality by adding landscaping features, irrigation systems, and, of course, outdoor lighting. Boosting your curb appeal is important in the event that you wish to sell your home one day. It’s also important to improve the level at which you enjoy your home. As long as your outdoor lighting is both fun an practical, you’ll see the worthiness of your investment. Ready to invest in your curb appeal? 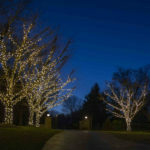 Call Aqua-Bright to consult an outdoor lighting specialist about clever outdoor lighting ideas. Call Aqua-Bright today at 410-489-9009 or take a tour through our website. This entry was posted on Sunday, May 10th, 2015	at 10:53 pm	. You can follow any responses to this entry through the RSS 2.0	feed. Both comments and pings are currently closed.